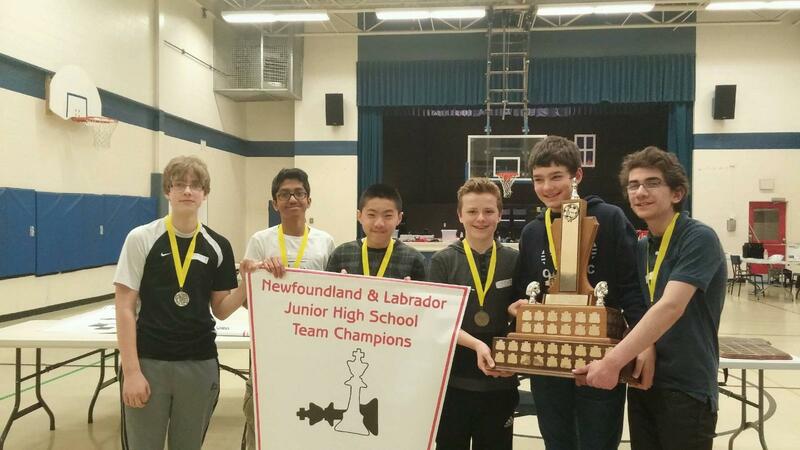 Macdonald Drive Junior High recently won its third Team Chess Championship defeating St. Paul’s and Beaconsfield Junior Highs. The 2016 team is comprised of the following students (l – r): Luke Brockerville, Laxman Saravanakumar, Xingbo Huang, Ryan Pickard, Stefan Boon-Peterson, Ahmad Salah. Individual winners from MDJH were: Xingbo Huang (silver medal), Stefan Boon-Peterson (bronze medal). Congratulations to the boys and their proud parents.